Our Dubai travel guide for unforgettable holidays up to -70% off To take advantage of these offers, join now for free! 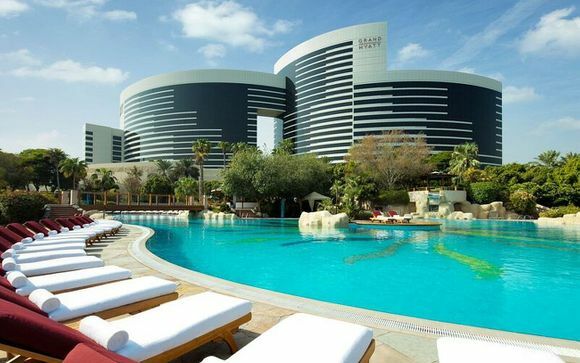 Discover the Best Activities to do in Dubai and the best attractions for All the Family. Save time in planning your vacation. The Best Dubai Travel Guide. The story of a how a small Gulf trading settlement became a landmark mega-city is one of the most unlikely in recent architectural history. Since the discovery of oil in the 1950s, Dubai has become a surreal hybrid of the ancient and the futuristic, offering views quite unlike anywhere else on earth. Where else might you glimpse convoys of camel-riding Bedouins scaling dunes with the world’s tallest building behind them? Or witness speeding sports cars containing Saudi princes and their pet tigers? Dubai doesn’t belong to this world, or maybe it’s the world that isn’t keeping up with Dubai. 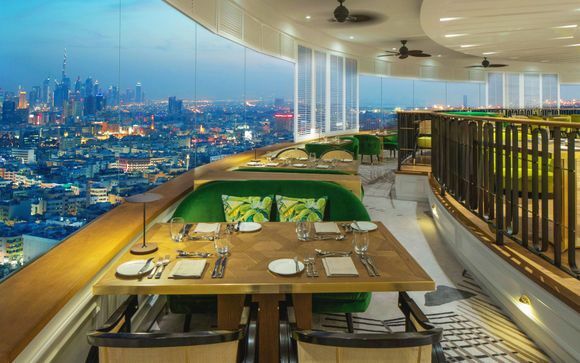 Far from being just a rich boy’s playground of glass and steel, however, Dubai offers a rich cultural cocktail to the savvy traveller. From the hipster galleries of Alserkal Avenue to the 18th century townhouses of the Al Fahidi Historical Neighbourhood, Dubai surprises at every turn. 1. Scale the Burj Khalifa. 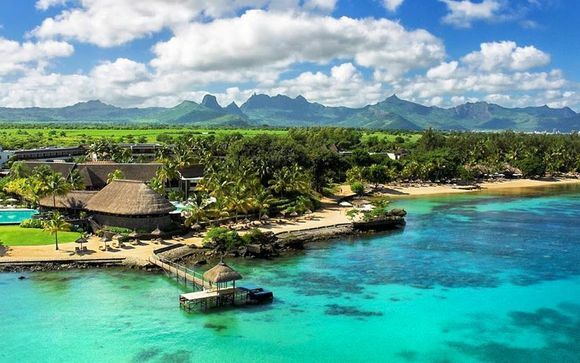 It may not be an original destination, but it is certainly an unmissable one. The tallest building in the world deserves your time - take the high-speed elevator to its unbelievable “At The Top” observation deck. You’re on top of the world - literally. 2. Wander into the past in the Al Fahidi Historical Neighbourhood. Get a sense of the mid 19th century Arabic architectural style with this charming area. It's easy to get lost in the enchanting networks of alleyways that wind their way through these traditional buildings, made with stone, gypsum and palm wood. 3. Witness the iconic Burj Al Arab. It may be overshadowed (sometimes literally) by the Burj Khalifa, but this luxury hotel still stands tall - the third tallest hotel in the world, in fact. 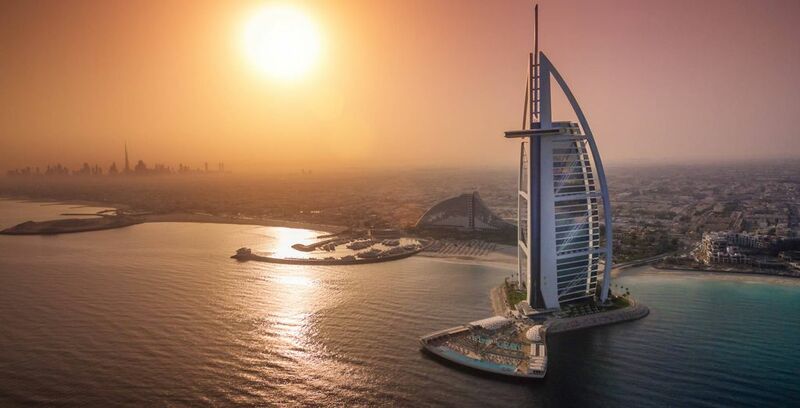 With its stunning design, sky-lounge restaurants and nearby Wild Wadi Waterpark, the Burj Al Arab is a must-see stop on anyone’s visit to Dubai. 4. Venture out into the largest desert in the world. The Empty Quarter offers 650,000km2 of untouched sand and sky. Here you can escape from the city and experience true serenity. Find discounted prices from Dubai Desert Tours (dubaideserttours.com). 5. Enrich your cultural experience at the Dubai Museum. If you need a break from the spending and spectacle, this world-class museum will grant you a slower-paced appreciation of the area’s history. Its surroundings aren’t bad either; the museum is housed in Dubai’s oldest building, the Al Fahidi Fort. 6. Shop like a sheikh in one of Dubai’s many colossal malls. More like cities than shopping centres, with their own individual districts and avenues, you’ve never had a retail experience quite like this. Dubai Mall, located in the Downtown area, is the most impressive. It features an enormous tank of 30,000 fish and 1,200 shops - no wonder it was the world’s most visited building in 2011. 7. Put on some pounds in Bur Dubai. Thanks to the collision of various South and East Asian cultures, food in Dubai is as varied as its skyline. If you're a foodie, take a food tour and sample Iranian, Filipino and Pakistani dishes. 8. 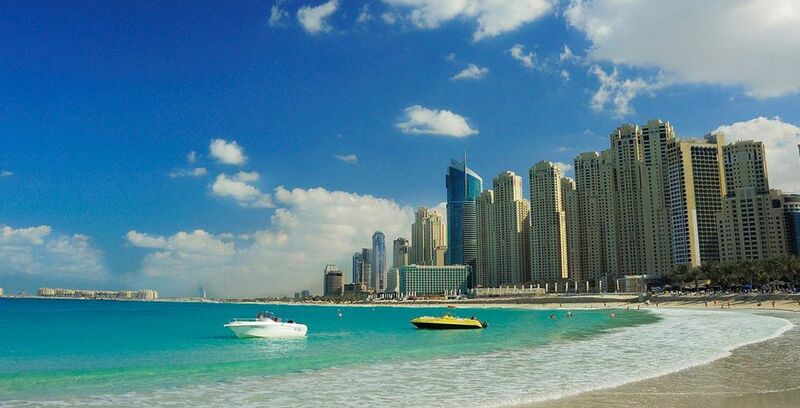 Soak up the sun on one of Dubai’s many teeming beaches. Sunset Beach offers Instagram-ready views but, if you prefer water sports, Kite Beach buzzes with athletic activity. 9. Haggle and barter your way through a Souk. These traditional Arabic marketplaces are dynamic, frantic and exciting labyrinths of wares. Souk Madinat Jumeirah is perhaps the most authentic of these Middle Eastern bazaars. 10. Get a sense of scale on a helicopter tour with Heli Dubai (helidubai.com). 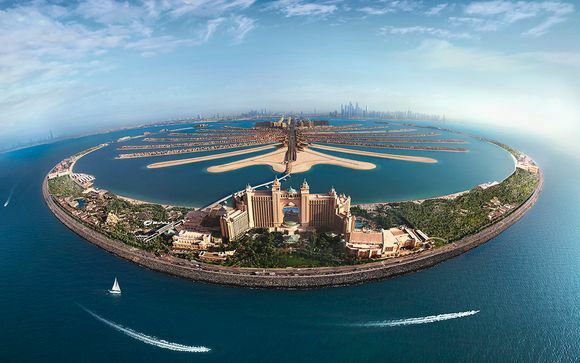 From its stunning skyscrapers to its surreal artificial archipelagos, Dubai deserves to be seen from a bird's eye view. If the sweltering heat isn’t for you, November to April offers cooler temperatures (25-30°C) and blemishless blue skies. June-September sees fewer crowds and cheaper hotels - but it can be incredibly hot and humid, frequently reaching 40°C. Dubai is geographically quite isolated, with a desert to the west and the Arabian sea to the east. The best way to reach the city is by plane - fortunately, Dubai International Airport (DXB) is a state of the art airport with three terminals and two runways. The airport is also home to world-renowned airline Emirates, who offer flights to Dubai from all major European capitals. It takes 6 hours and 45 minutes to reach Dubai from London. Dubai houses over 70,000 hotel rooms and boasts some of the highest quality accommodation in the world, but be prepared to pay for it: a 2012 survey showed that it was the most expensive city in the Middle East. If you are seeking luxury you can do a lot worse than Burj Al Arab, the third tallest hotel in the world. The enormous, stunning complex contains an underwater restaurant, an artificial reef and a honeycomb-like lobby that has to be seen to be believed. 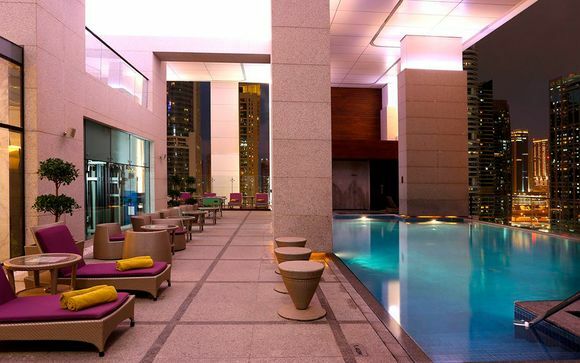 If you prefer something a little more affordable, head West to Rove Dubai Marina. 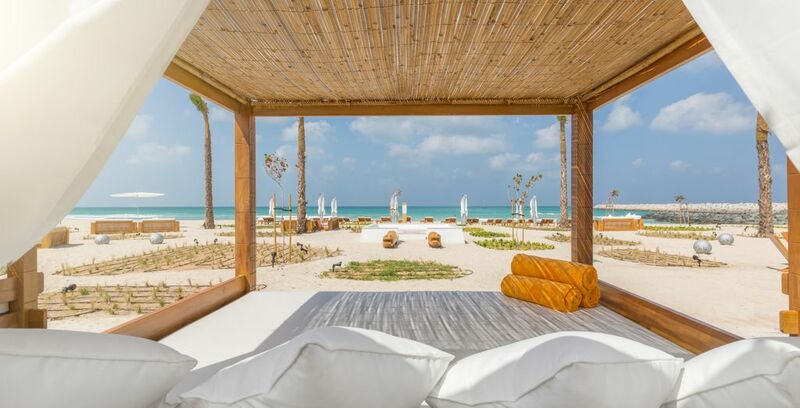 This brand-new beachside resort offers stunning views, trendy decor and a great location. The most important thing to remember about the UAE is that it features a conservative religious majority - so be respectful. This means no public kissing, shows of affections or drunkenness. Women should dress conservatively. Despite this, Dubai is a more progressive city than much of the Emirates, so it’s okay to wear a bikini on the beach or drink outdoors. Civility and politeness are highly valued in the UAE. In formal settings, you should use local's full names. Even better, address men as 'Sayyed' (‘Sir’) and women as ‘Sayeeda’, followed by the person’s full name. Dubai International Airport is one of the busiest in the world, so it might be worth investing in a service called “Marhaba”. This costs around $30 and involves somebody collecting you from your arrival gate and guiding you through immigration, baggage reclaim and customs. You can find more information about "Marhaba" through the Marhaba Services website (marhabaservices.com). Travelling via the Metro is the cheapest form of public transport, but be warned that many of the stations are in inconvenient locations. You may wish to use a taxi instead - just make sure that the car has a yellow taxi sign on its roof and a registered number inside. Taxi scams are uncommon in Dubai but not unheard of. Tipping is quite common in Dubai. You should always tip taxi drivers by rounding up to the nearest note. With restaurants, there is less of an expectation due to automatic service charges, but you ought to tip about 10% if the service is good. The standard currency in Dubai is the United Arab Emirates Dirham (AED), which is currently valued at 3.67AED to the dollar. The airport offers currency exchange but the best rates can be found at the Malls, so it's worth doing the bulk of your conversion here. Dubai follows Gulf Standard Time (GMT +4), which is 3 hours ahead of London time. The official language of the UAE is Arabic, but Dubai is an international city and English is the most common language spoken by its residents. Appropriate clothes for hot weather, made of breathable fabrics, are a must. Women, however, must remember not to bring anything too revealing. Similarly, it is important to bring sunscreen, ideally with a very high protection factor. 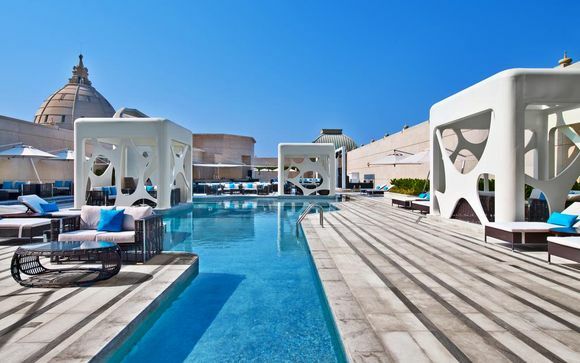 Given the huge amounts of beaches and hotel pools in Dubai, you don’t want to forget swimwear. In terms of footwear, sandals and flip-flops are ideal - but if you prefer something more sturdy, ensure that they are light and breathable. Most hotels offer a generous supply of toiletries, so it might be worth freeing up some luggage space by only taking essentials. Aside from that, a holiday to Dubai requires much the same as a holiday anywhere. Use a checklist app to ensure that you don’t arrive at the airport missing luggage or documentation! This depends on what you want to see. A simple sightseeing trip could be accomplished in as little as 3 days. But bear in mind that sightseeing in Dubai, owing to its intense heat and endless distractions, can be exhausting if hurried. 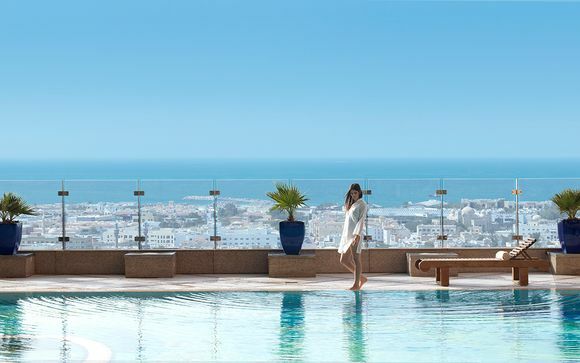 Visiting for a minimum of one week allows for a more leisurely trip - and a more authentic one, given the amount of time that Dubai’s population spends in pools or the ocean. 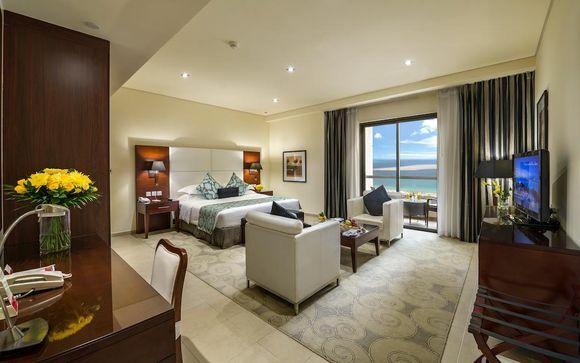 Dubai is a destination that can welcome your children without problems. Remember to hydrate them well if you leave in hot weather. 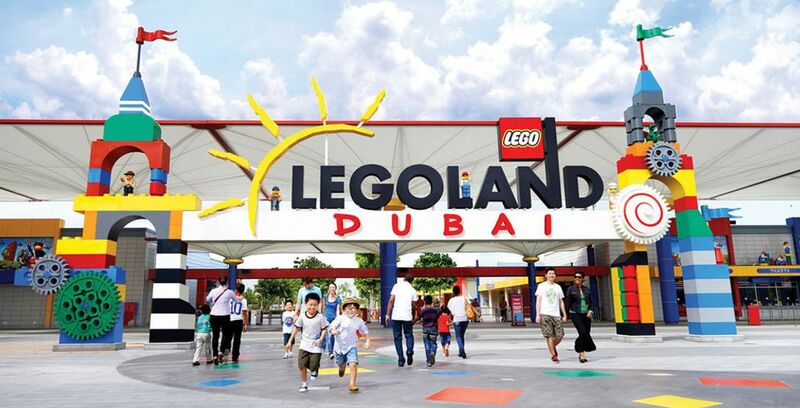 In Dubai you can also enjoy several amusement parks and many activities to do with children. Bring your children to KidZania, a wolrd made for us to let them discover the life of adults. They will be able to practice some jobs such as dentist, chocolate maker, radio animator, policeman, fireman. Or even experience shopping, go to the city hall or the beauty shop. 25% of road fatalities in the UAE are pedestrians, so take caution crossing roads. Drivers will not automatically slow down or stop for pedestrians. If you decide to drive, be careful. Roads in the UAE are notoriously congested, with erratic and unpredictable driving common. In built-up areas, the inner lane is typically reserved for speeding luxury cars. 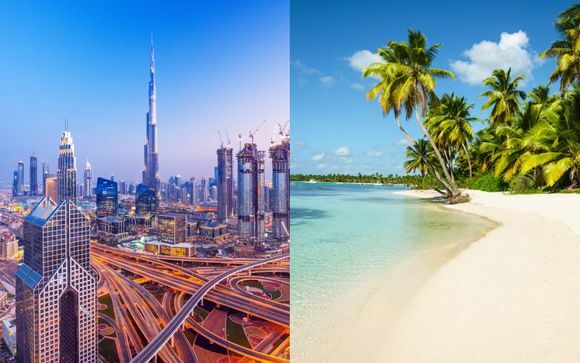 Discover our travel guides and our offers in Dubai: all inclusive holidays in Dubai, holidays to Dubai, great deals to Dubai, sun holidays, last minute holidays to Dubai, .